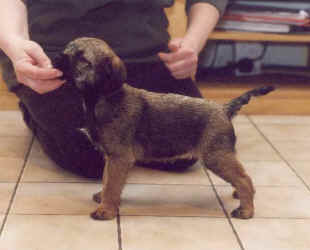 Spock, born 2000-10-26, was bred by Carolyn Fry. 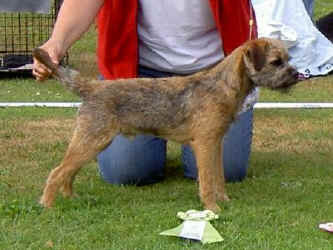 He brought us the Dandyhow background we were so eager to strengthen in our lines, since the old Swedish lines we love build mainly on Dandyhow dogs Stamtavla Spock. 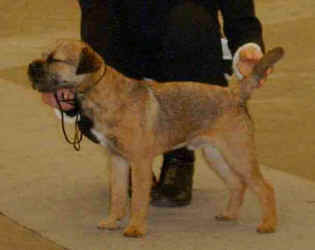 He leaves a clear stamp on his pups, great fronts, pelts, coats and ribcages, and especially the beautiful Border temperament that is the most important trait whichever type life the dog is destined for. He was imported and the first five years owned by us. 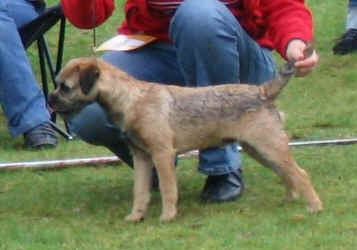 Spock has won "CC quality" in the show ring and has passed the first level blood-tracking test. This page is a list of the merits we value most highly, his wonderful offspring. Thank you Carolyn for letting us own this great dog, who is still putting his stamp on descendants in our home as well as in other kennels in Sweden and Germany.